Conference starts 21. May 2019 at 8:00. 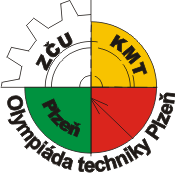 Pilsen Steel s.r.o., Techmania Science Center o.p.s., Hobero s.r.o., KV elektro. and TAKTIK International, s.r.o. The contest will be in Pilsen in 21th and 22th May 2019.